Hooray – winter finally is over and we can all start enjoying the Korean outdoors again! 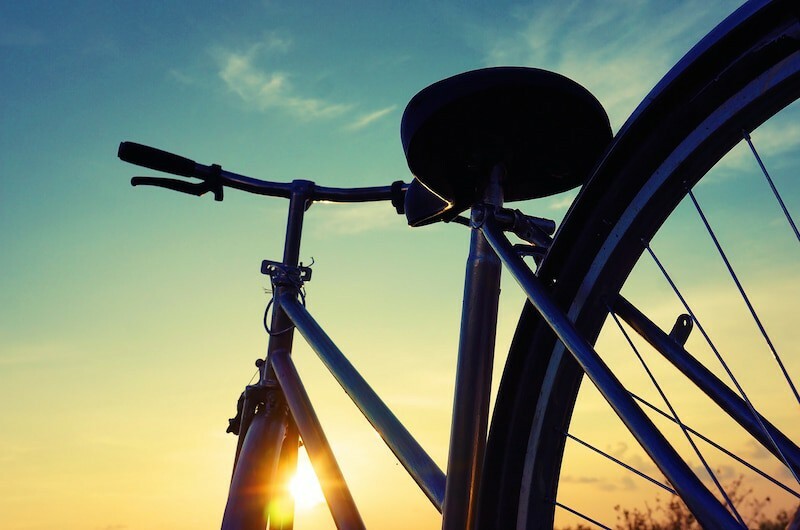 The cool weather is turning into slightly longer (and slightly warmer) days, and that means spring is quickly approaching. 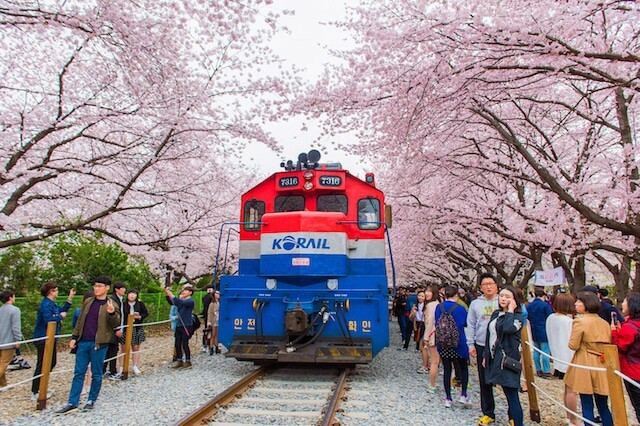 If spring is quickly approaching, that means it’s a very special time in Korea – it’s almost time for the cherry blossom trees to burst into bloom and draw tourists from all over the world to marvel at their beauty! Spring is one of the best seasons to explore Korea, and there are a bunch of different exciting events that occur outdoors that bring tourists to Korea from near and far. One of the most popular events that marks the changing of the seasons is the spectacular cherry blossom festival in Korea. In spring, there are many places all over Korea where you can go to see the beautiful, light pink cherry blossom. That’s great news for you, because no matter where you are in Korea, you’re not too far away from seeing some cherry blossoms! We’ve updated this page with info about where to see cherry blossoms in Korea so you don’t miss any of the can’t-miss spots. First we’ll give you a brief overview of the cherry blossom, and what makes them so special and such a notable tourist attraction in Korea. Then we’ll tell you where you can go to see them if you’re planning on spending some time in Korea this spring. Pack your bags, book your train tickets, and get out your picnic blankets–it’s time to enjoy the festivities and say hello to spring! The cherry blossom is usually associated with Japan, where it is known as sakura. This is in part because the cherry blossom is the natural flower of Japan. In Korea, it is called beot-kkot (벗꽃). Cherry blossom trees are very easy to find in Korea, and they draw thousands of tourists to the country every year to participate in various cherry blossom festivals (and to just view the cherry blossom blooms more casually – truly, they’re everywhere!). 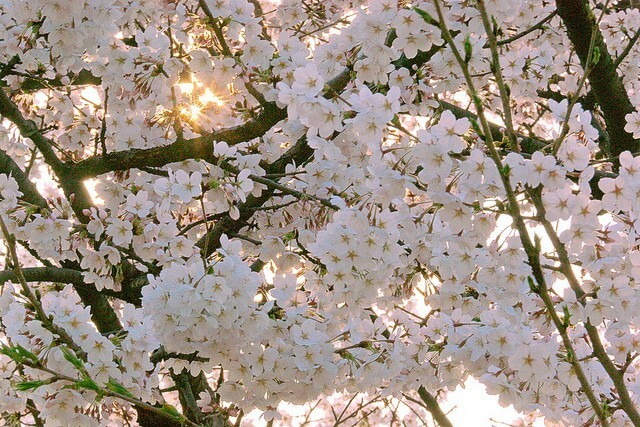 The cherry blossom tree is closely related to other common trees, including almond, peach, plum, and apricot trees. Even though these trees are all similar to the cherry blossom tree, none of these trees have the uniquely beautiful pink blossoms that the cherry blossom tree has. Cherry blossom trees also have a lovely scent – many perfume and cosmetic companies have tried to replicate it in sprays and lotions. Most of the cherry trees in Korea are believed to be a slightly different species of tree than those in Japan. The Korean cherry tree, known as the ‘king cherry’ originated from Jeju Island, which is also the first place that the cherry blossom occurred in due to its slightly warmer climate. 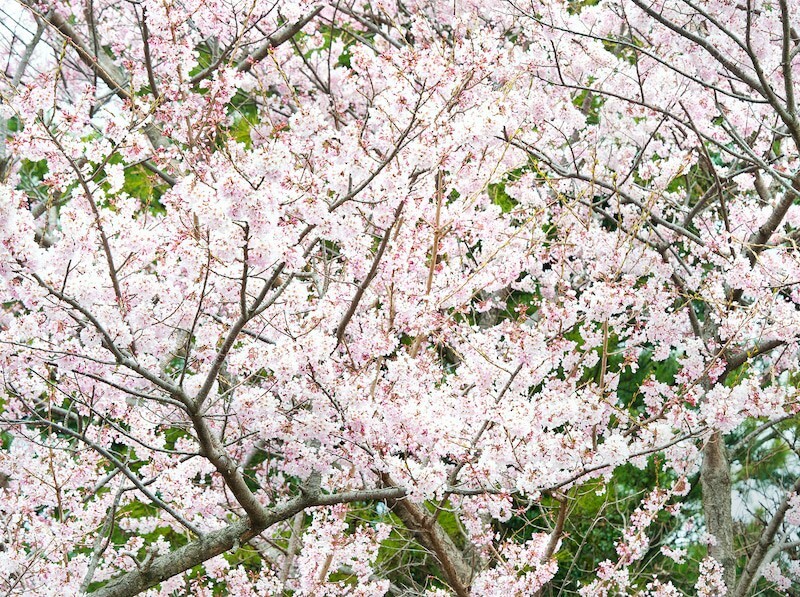 The King Cherry blossom tree is slightly different from most other types of cherry blossom tree because the blooms are huge, and they only bloom in full force for a couple of days at a time. The blossoming starts on Jeju Island in late March, but although some die-hard cherry blossom pilgrims might make the trip to Jeju to see the first blossoms of the year, it might be better to save your trip to Jeju for another time and experience one of the many cherry blossom festivals on the mainland instead. If you happen to be in the capital this spring and wish to see cherry blossoms in Seoul in 2017, there are plenty of options! Here are some popular places and festivals to check out. If you have enough time, check out all of them because they all offer something a little bit different! The most well-known cherry blossom festival in Seoul is the Yeouido Cherry Blossom festival. It is also known as the Yeongdeungpo Yeouido Spring Flower Festival. Thanks to the opening of the subway line 9 extension, this festival is more accessible than ever, so you don’t have to worry about beating traffic while driving and finding parking once you arrive. During the cherry blossom festival, you can see about 1,400 cherry trees in full bloom. There are street performances, food vendors, and many different entertaining exhibits, so this festival is perfect if you want to check out some lovely cherry blossoms but you also want to fill your day with other activities. Enjoy a tasty Korean snacks or take a walk at the Han River as you admire the scenic beauty. Grab a date or friend, mark your calendar, and see what the fuss is all about! To get to the festival, take Seoul Subway Metro Line 9 to National Assembly Station (국회의사당역). If it is too crowded you may be directed to Dansan Station (당산역) or Yeouido Station (여의도역). If you’re an aspiring photographer, this is the festival for you! In the East of Seoul, Seokchon Lake is an easily accessible place to see the Korean cherry blossoms and take pictures of their reflections in the water. It’s a beautiful photo opportunity, and an unforgettable sight. As a bonus, the nearby Lotte World can be used as an incentive to bring along any of your friends who are amusement park enthusiasts! 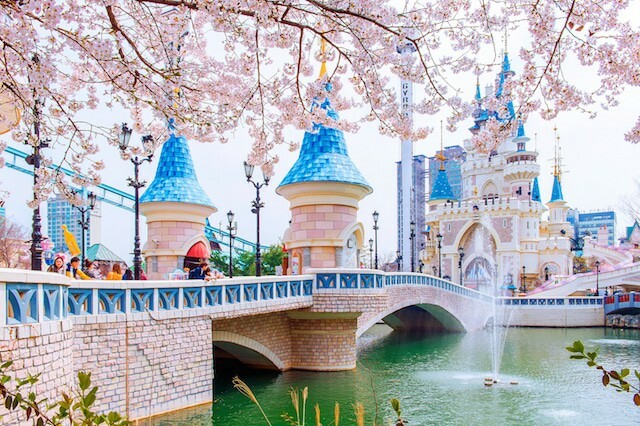 What better way is there to get your friends excited to check out a cherry blossom festival than to promise an exhilarating afternoon at an amusement park afterwards? Head over to Jamsil Station (잠실역) on Seoul Subway Metro Line 2 and head over to Lake Seokchon. 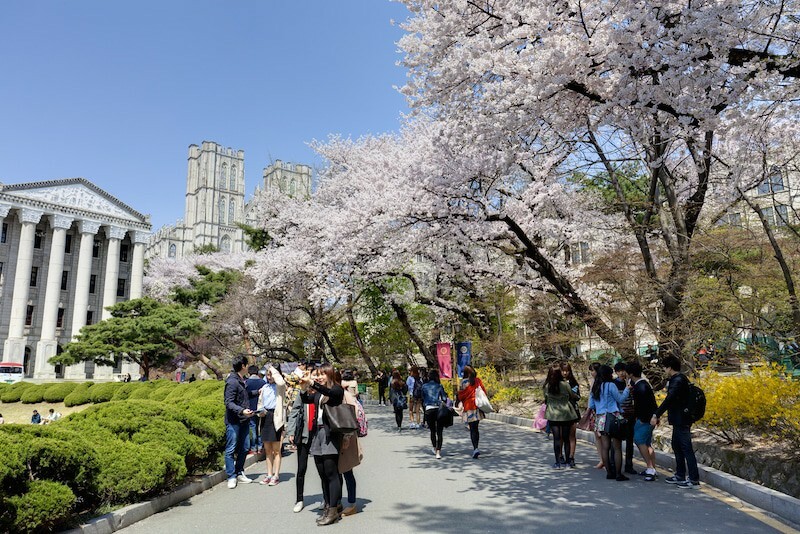 In the North of Seoul, Kyunghee University’s cherry blossoms are worth the trip. The beautiful campus and mock medieval style university halls make a stylish backdrop to the white flower petals. Check out the cherry blossoms here if you have a penchant for architecture and want to check out this well-known university – you’re killing two birds with one stone! Take Seoul Subway Metro Line 1 or the Junang Line to Hoegi Station (회기역). This area is famous for it’s ‘Korean Pizza’ (해물파전), so grab a bite if you’re in the mood for a seafood pancake! If you’re looking to avoid the busier areas, then Seoul Forest might be the spot for you! There is a good amount of space and you can move around in the park a bit more easily, and while it’s definitely popular, it’s not the most popular festival on this list so the crowds should be a bit more manageable as well. Bring a mat and some snacks and you could have a lovely picnic under the cherry blossoms – because no afternoon excursion is complete without a snack. This would also be a perfect date idea, so if there’s someone you’d like to impress, bring them to check out the cherry blossoms in this forest and be prepared with a romantic picnic for two. The large lake in Seoul Grand Park has many cherry blossom trees surrounding it, and the site also has a zoo, an amusement park, and a modern art museum so there is something other than the cherry blossoms for you to enjoy after making the trip. Whether you’re in the mood to pair your cherry blossom viewing with jungle animals at the zoo or a guided tour full of culture at the modern art museum, there’s something for everybody! This would also be perfect if you have a diverse friend group that have wildly different interests – after looking at the cherry blossoms around the lake, your group can divide and conquer the surrounding activities. There are five grand palaces in Seoul, and they’re all great spots in Korea to see cherry blossoms! The five palace names are Changdeokgung Palace, Deoksugung Palace, Unhyeongung Palace, Changgyeonggung Palace, and Gyeongbokgung Palace. 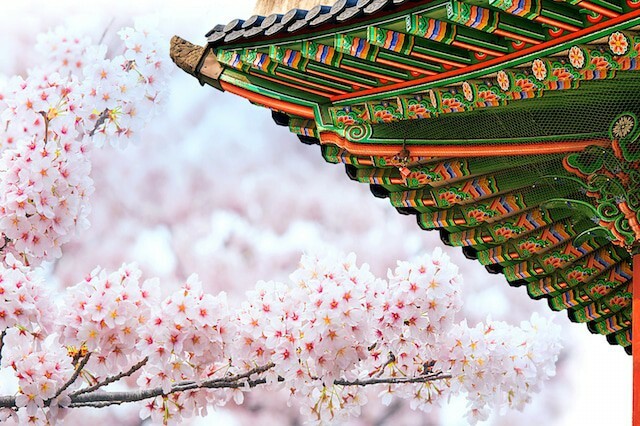 For the budding photographer, the cherry blossoms are the perfect chance to visit one of Seoul’s palaces and capture some truly spectacular natural beauty. Gyeongbokgung or Changdeokgung are excellent spots to take amazing photos – the architecture is amazing and the grounds are oozing with rich history. The best palace to see the cherry blossoms is the lesser known Changgyeonggung. Hidden away behind Changdeokgung, Changgyeonggung palace is best reached by taking a bus or subway to Hyehwa Station. Although it’s a little bit of a trek, it’s worth it once you get here! Having the chance to experience this lesser-known palace away from crowds with the cherry blossoms in full bloom is a once-in-a-lifetime experience. The Japanese planted cherry trees in Changgyeonggung palace during the period of Japanese rule, and as a result this palace has more of the trees than the other palaces in Seoul. The nearby Daehangno area is also a great place to eat or grab a coffee after seeing the cherry blossoms. Spending your afternoon checking out the palaces and cherry blossoms and finish the day with a warm cup of coffee – what more can you ask for? 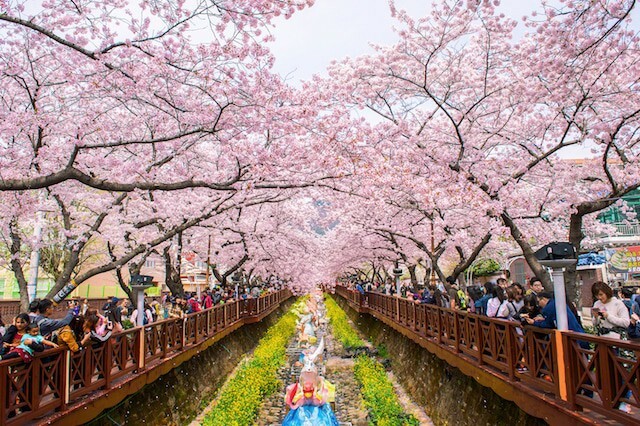 If you live on the outskirts of Seoul or you want to visit an area of Korea with less people, less traffic, and fewer crowds, then check out the cherry blossoms in the Gyeonggi region. Gyeonngi surrounds almost the entire area of Seoul, so you should have plenty of places to see the blossoms. That being said, read on to find out more about a specific spot you won’t want to miss! If you want a romantic spot to see the cherry blossoms in Korea in 2017, then Nami Island may be your spot! The island is covered by cherry blossoms in the spring, making it a great time to visit. Bonus points if you bring your special somebody and wow them with a quiet, romantic spot to see cherry blossoms and enjoy each other’s company. Nami is a famous attraction in Chuncheon, Gyeonggi that attracts tourists, couples, and Korean drama fans. One of the reasons for its fame is because of a scene from the drama Winter Sonata (겨울 연가 in Korean). In addition to the cherry blossoms, you can also enjoy a theme park, shooting range, roller skating rink, and various water sports, so there really is something for every visitor that makes their way out to the island. Nami fun fact: There are no telephone poles on the island! Instead of having the electrical wires in the air, they were run underground to make the island feel more natural. That means telephone poles won’t be cluttering the background of the pictures you take of the cherry blossoms! The Gangwon province extends from Gyeonggi all the way to the east coast of Korea. It’s a mountainous region known for its ski resorts, hanu (Korean beef), and its beaches. If you want a scenic and relaxing environment to see the cherry blossoms in Korea and you also want to dedicate some time to check out the outdoor activities, then Gangwon may be the place for you! Gyeongpo is a famous area of Gangneung, Gangwon. It is well-known for its beaches, lake, and various festivals. In April each year, it’s a great destination in Korea to see the cherry blossoms! If you happen to be in this area during the warmer months, be sure to spend some time soaking up the run near the water – the beautiful beaches are a tourist attraction for a reason. 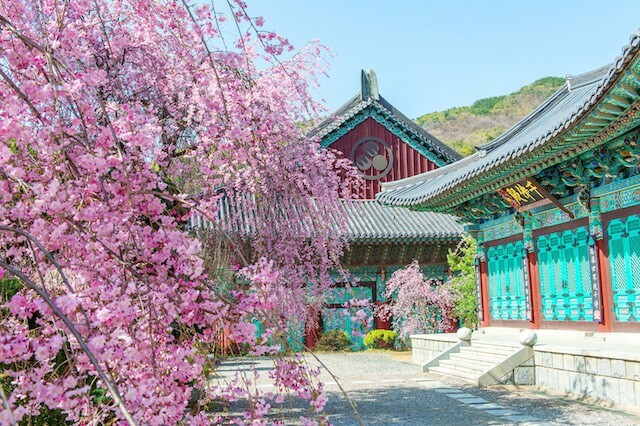 There are many pavilions in the Gyeongpo area, but you’ll want to head to the center of the Gyeongpodae Pavilion to see the blossoms. Check out flower exhibitions and cultural performances while enjoying the rural northeast part of Korea. The festival brings together crowds of people every year that enjoy celebrating cherry blossoms and putting together performances for visitors, so it’s something you won’t want to miss! Chungcheong is the province in the central part of Korea. 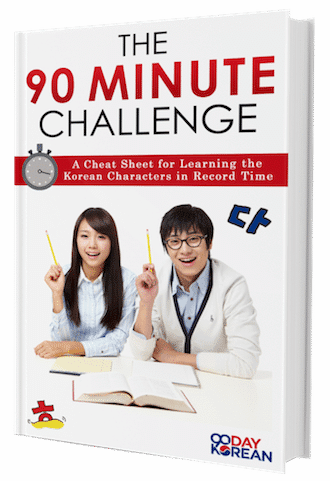 Some popular cities you may have heard of are Daejeon, Chungju, and Cheonan. 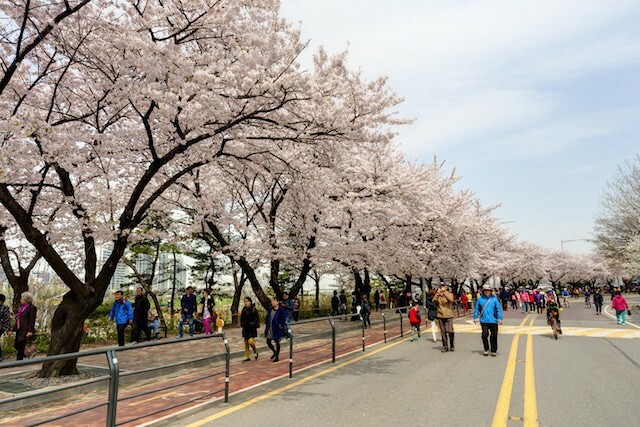 If you are going to see the cherry blossoms in Chungcheong, then make sure to try some of the local delicacies such as clam shabu shabu, gul bap, and dori baengbaeng. Swing by the Cheongpung Lake to see a variety of spring flowers. In additional to the cherry blossom, you can also see azalea, forsythia, and white cherry blossoms, so there’s a nice variety and an interesting floral color palette to take pictures of. Relax and picnic by the lake, watch performances and exhibitions, and enjoy the beautiful spring weather in the middle of the country without the chaos and craziness that can come with spending the day in crowded cities. To get here, you can take a bus to the Jecheon Intercity bus terminal. It’s only a hop, skip, and a jump from there! 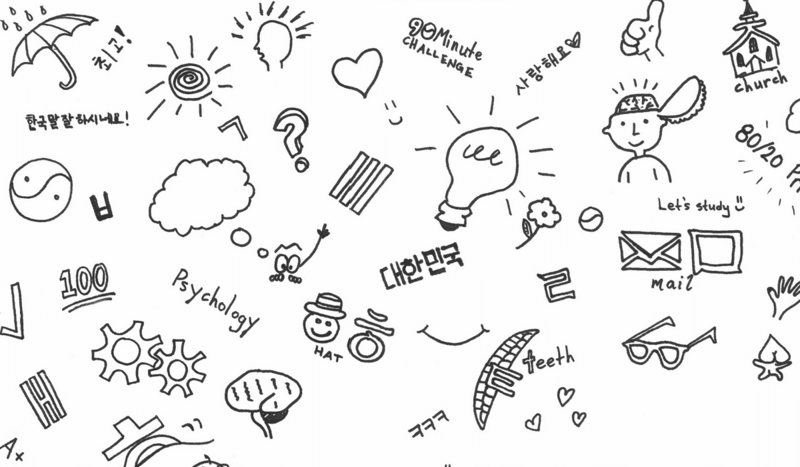 Visit the festival homepage here for more information in Korean. Gyeongsang has some of the most famous cities in Korea, including Busan, Daegu, and Ulsan. The region is in the most southeastern area of Korea, and is famous for its seafood – seriously, it’s the best seafood you’ll find in Korea — and beaches. If you’re looking for a region for a nice, relaxing warm weather beach vacation, you should definitely consider the Gyeongsang Region. These days, it’s also gaining popularity for having some of the best areas for seeing cherry blossoms in Korea. The cherry trees in this region tend to bloom earlier than in the northern part of the country, so make sure you plan accordingly! 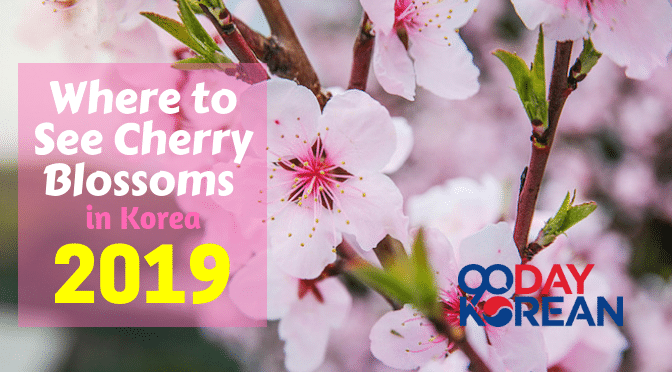 This also means if you happen to be in Korea a little bit too early in the year to see the cherry blossom blooms in most of the regions on this list, you can still soak up the beauty of the blossoms in Gyeongsang. One of the most famous places to see the cherry blossoms in Korea is the small city of Jinhae on Korea’s south coast. Otherwise known for its Naval Academy, once a year, in the first week of April, Jinhae plays host to thousands of tourists all coming to see the cherry blossoms. 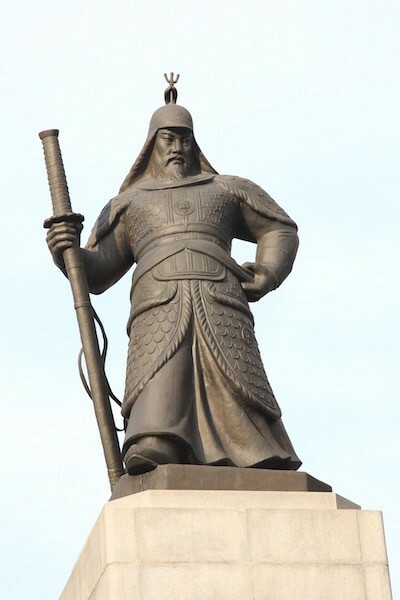 During this time the naval base, usually restricted, is opened to the public and you can learn about Admiral Lee Sun-Shin and see a replica of one of his famous Turtle Ships. The city also puts on many cultural events and opens a special market. If you’re a history buff or love learning about Korean culture, you should absolutely check out the naval base – it’s a pretty unforgettable experience. Admiral Lee recommends you see the cherry blossoms in Jinhae! But the main attraction is of course the white and soft pink petals that people have traveled from around the country to see. The Jinhae Gunhangje Festival is held at the Jinhae Jungwon Rotary Intersection. In addition to the cherry blossoms, you can also see art and cultural performances or visit the Paldo Pungmul Market. To get to the festival, from outside of Jinhae, head to Jinhae Intercity Bus Terminal. You can walk or taxi from the terminal to the festival at the Jinhae Jungwon Rotary Intersection. Find out detailed information about the festival in Korean here. If you miss your chance in Jinhae, then you could visit Gyeongju on the following weekend. With its traditional buildings and ancient tombs, Gyeongju might well be one of the best places to see cherry blossoms in Korea. After-all, you are going to want to take some gorgeous photos, and what better background to have than some old hanok houses or mountainside. 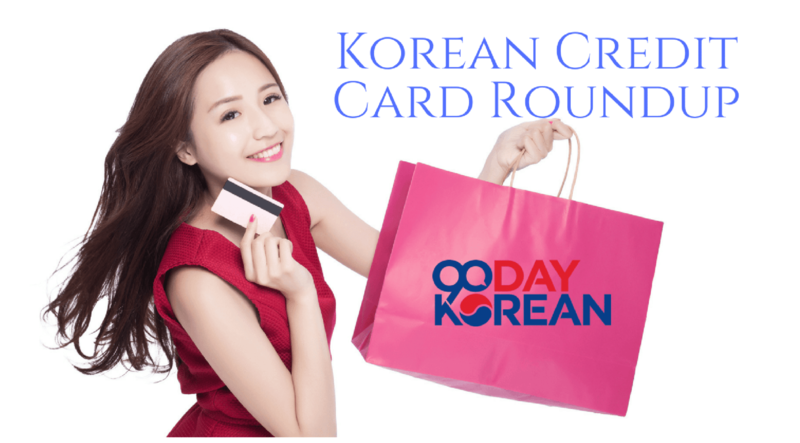 Your pictures will end up looking like a quintessential Korean postcard! Gyeongju has not one but three cherry blossom festivals around the city. There is even a cherry blossom marathon for those who like to enjoy the beauty of nature whilst experiencing fatigue and physical pain. If you’re one of the elite that can actually run 26.2 miles in a row, then put the cherry blossom marathon on your bucket list! For the cherry blossom observers a little less inclined to run for a couple of hours at a time, why not rent a bike and cycle around the city enjoying its historical sites as well as the cherry blossoms without breaking a sweat. Bomun lake and Dongbu historical complex, both a short bus ride (or long but scenic cycle ride) from the city center, have festivals with performances and exhibitions to enjoy. If you prefer to stay in the downtown area, you can see the cherry blossoms in Heungmu Park instead while still getting a taste of the downtown night life when the sun sets. Residents and fans of the city of Daegu, you’re in luck: There’s a cherry blossom festival just a stone’s throw away, so there’s no travel required! Grab a date or some friends and head to ‘Marriage Road’, one of the famous spots for seeing cherry blossoms. 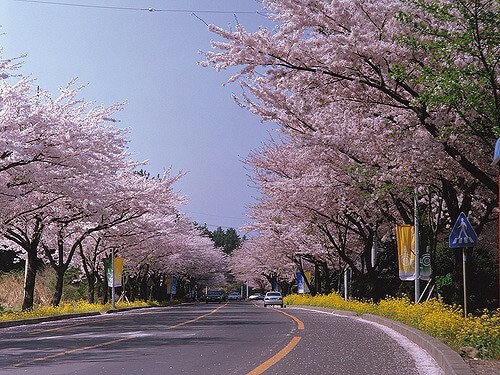 Also known as ’10 Ri Cherry Blossom Road’, it has about 4km of cherry trees. After all the sightseeing, take a break and grab some local fresh seafood. Oncheon Stream is a sight for sore eyes – it runs through two towns, the Dongnae District and the Yeonje District, and it is surrounded by flowers and recreation paths on both sides. It’s a favorite hangout spot for many locals in this region. In the warm months towards the end of spring, the flowers surrounding the stream are in full bloom, including the cherry blossom trees. Take a stroll through Oncheon Stream Park and make sure you bring your camera – you’ll want to snap a picture of the flowers in full bloom while you’re enjoying the view! The Jeolla province is the southwestern part of Korea and is home to the famous cities of Gwangju and Jeonju. There are plenty of beaches, rivers, and natural landscapes to admire as you make a trip to see the cherry blossoms in Jeolla. If you’re an outdoorsy person and you’d like to spend some time hiking and enjoying the beautiful landscape, Jeolla should definitely be on your to-do list while in Korea! Stop by the Seomjin River area to see 11km of blossoming cherry trees. Thanks to the variety of flowers and the cherry blossoms, you get to see a rainbow of natural colors that make the scene look like it’s straight out of a painting. Get your camera ready for a beautiful mix of blues, greens, yellows, and whites. In addition to taking in the scenic landscape, you can experience a cherry blossom concert and various other performances during the festival. The cherry blossom concert is a fun excuse for some extremely talented Korean musicians to get to play for much smaller crowds than those they’re used to in large concert halls – it’s a very intimate experience that really add to the cherry blossom viewing experience. It would also be a great way to end a date if you’re bringing your special someone along with you! The Jeju province, also known as Jeju Island, is the largest island in the southern part of Korea. It’s a popular spot for vacations, honeymoons, and the famous cherry blossom! If you’re planning a honeymoon to Jeju Island, you should consider timing your honeymoon to coincide with the months that cherry blossoms will be in view, even if it means waiting a couple of weeks after your wedding. It will really add an incredibly romantic element to your trip! If you’re planning to see the cherry blossoms on Jeju Island, then you might want to add in a few extra days to your trip. There’s plenty to see, and the weather is beautiful, and the food is tasty–so you’ll be happy you did! It’s not a place you’ll want to leave readily when your trip is over. Head down to the Jeju Sports Complex and Seogwipo downtown area to see Jeju’s King Cherry Tree blossom. You will be in a for a treat–the King Cherry Tree blossoms are the largest cherry blossom petals of all the cherry trees! The peak of the blossoms last for 2~3 days, so make sure to mark your calendar and make it to this memorable event. King Cherry Blossom trees aren’t as easy to find as some other types of cherry blossom trees, so you’ll definitely want to take the opportunity to see them if you can! I’m sure you’re aware at this point – cherry blossom trees are all over Korea, and the places you can view them while they’re in full bloom are almost innumerable. Almost every town or city will most likely have some cherry blossoms, so it’s really just a matter of if you’d like to pair your cherry blossom viewing with lounging on the beach, watching concerts and cultural performances, enjoying fresh seafood, or hiking the Korean landscape. When it comes to activities, Korea is the place to be during the warm months that cherry blossom trees are in bloom! Which places near you are the best for seeing cherry blossoms in Korea?